Come play with us on the Camas Prairie! Join or watch the spinning! 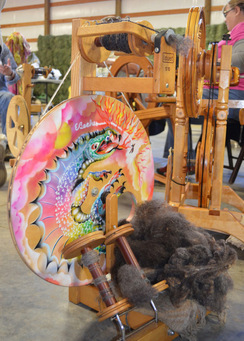 Join our spinning circle both Saturday afternoon and Sunday all day. Bring your spinning wheel, etc. We welcome all levels of experience to our venue. This is a great opportunity to impart or expand your knowledge. As with the spinning circle, enjoy the camaraderie of fellow knitters on Sunday starting at 10am. Bring an unfinished project to work on or start anew. You can now register and pay for your classes online by going to Store/Classes & Workshops. Or, you can download a copy of the registration form HERE and send it with your check to Sweet Pines Alpacas. Be sure to let us know if you will be joining us for lunch ($7). Thank you! You will learn all the basics including: why and how spinning works, how to prepare the fiber for spinning, how to add new fiber to the yarn, how to remove the yarn from the spindle, and finally how to ply. Class participants will have a chance to try out top whorl, bottom whorl and turkish drop spindles as well as the Navajo style hip spindle. We will start with wool and move on to alpaca and silk hankies. You will also be introduced to hand cards and wool combs. Students will go home with their own new drop spindle and fiber to spin. 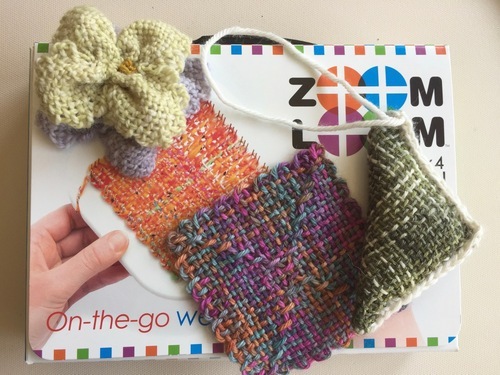 Join in the fun of learning the increasingly popular Zoom Loom. This little loom can lend itself to an endless number of projects, is travel friendly, and each square takes only minutes to create. 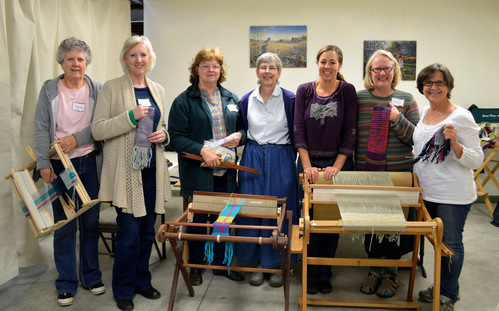 During the class you will learn to warp and weave your loom using alpaca yarn. 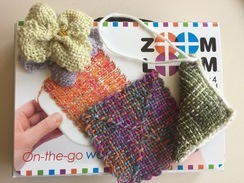 You will go home with your Schacht Zoom Loom, 3 finished creations, and plenty of inspiration for future projects. 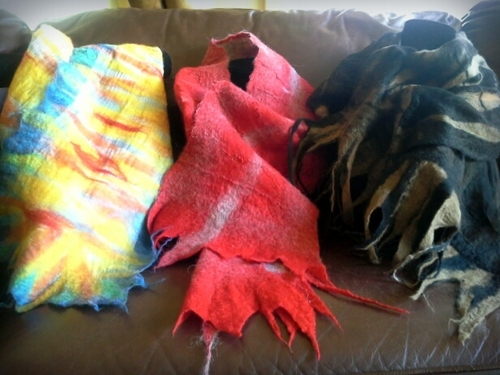 Get ready for pure magic when you design and roll soft, scrumptious alpaca fiber/merino wool and airy silk gauze to create wearable art in the form of a nuno felted scarf. You'll be dazzled by your inner artist. Once it is known that we are fiber artists, at some point we find ourselves in possession of a raw fleece. Now what? Using both wool and alpaca right off the animal you will learn to prepare it for processing. We will go through all the necessary steps: washing, carding, and combing. The fiber will then be ready for spinning into yarn, felting, etc. Bring your hand carders and combs if you have them. Interested in learning how fabric is woven together? Give weaving a try with an accomplished weaver leading the way! You will work on a rigid heddle loom (an easy to prep, quite versatile, and portable loom) gaining knowledge & skills that are applicable to any loom. Looms are available for purchase or rent for an additional fee, but PLEASE let us know in advance. If you have your own loom, be sure to bring it if possible! 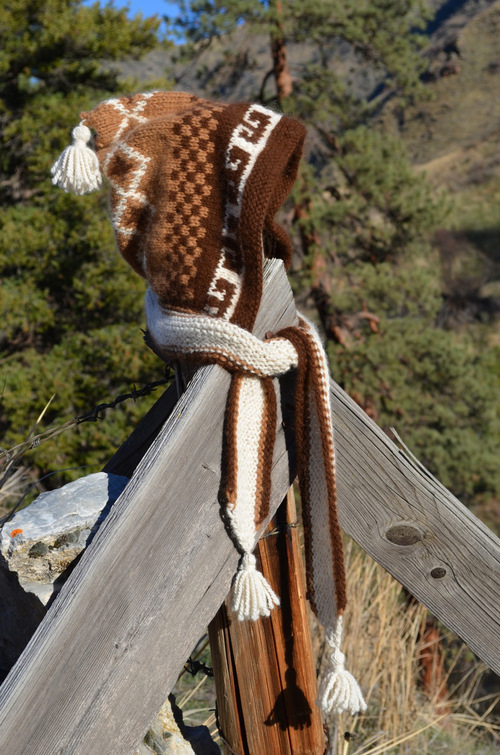 *All materials not already provided are available for purchase at Sweet Pines Alpacas' Alpaca Boutique.